I understand that the Romney campaign is looking for ways to make the GOP nominee more relatable. But someone should really tell the folks over there that all the stories of Mitt’s frugal ways that they’re happily spreading around actually serve to make him sound like a complete loon. Even worse, they reinforce the concern that underlies questions about Romney’s tax returns—that he doesn’t want to pay his fair share. Both the Washington Post and GQ ran pieces over the weekend highlighting the extent of Romney’s fabled frugality: He uses duct tape to fix things, he built a brick passageway rather than hire a contractor for the job, he only downloads free apps for his iPad. The stories are fascinating, but not in the way the Romney camp intends. Because jam-packing your garbage bags to avoid paying extra per-bag fees and yet building a car elevator for your $12-million beachfront home isn’t charming. It’s pathological. 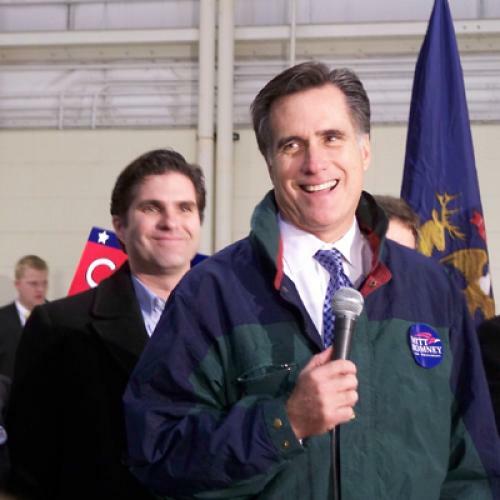 We get it—Romney’s not a spoiled rich boy who takes his wealth for granted. (Not like that Ted Kennedy, against whom it is easy to imagine Romney is still running.) He has enough of these frugal quirks that it’s obviously not for show and must make him a bit annoying to be around. But no matter how many oven vents Romney alters with aluminum foil, he can’t run away from the image he fears. That’s because he insists on taking his wealth for granted. The stories of Romney’s cheapskate ways are also at odds with his economic message—that the economy will recover once we lower taxes for the wealthiest Americans, so that they can create jobs. After all, Romney isn’t willing to pay job creators for the apps they develop, nor is he willing to give a contractor a job when he feels he can do it himself. I think it’s fair to say that most of his peers in the 1% don’t share his frugal spirit, but the example the Romney camp is so keen to promote is hard to square with the idea that letting the rich keep more of their income will lead them to spread it around. It’s also just weird. I don’t know about you, but I don’t really want a president who sweats the small stuff. Would we see headlines about a Romney White House converting from smart phones to telegrams because mobile rates are so darn high these days? Yes, that’s right. A Romney supporter tried to give the candidate a heads-up that he might have to work a little harder to connect with average voters and Romney refused to even talk about it. It’s truly a wonder that his campaign advisors haven’t quit already. He must be paying them a price that makes him wince.